Offered at industry leading price, these Glass Paintings provide aesthetic appeal to homes or offices. Our artisans use quality raw materials to ensure these paintings in accordance with set industry standards. Designed using superior quality raw material, our range is widely used to give enticing look to interiors. These are available in different patterns and sizes to suit diverse needs of clients. Backed by our rich industry experience and expertise of professionals, we have been able to manufacture and export a wide range of products which come in wrought iron, brass article, stone artifacts, wood handicraft, bone and mop furniture and many more. 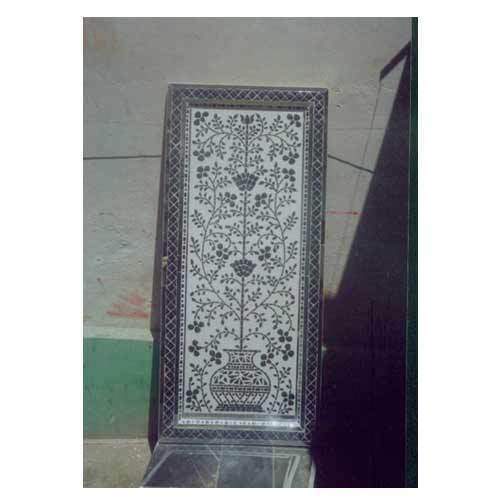 Also offer fibre articles, silver furniture, designer box, bone inlay and white metal products. fabricated using optimum quality raw materials, our collection are widely applauded by our clients for its fine finishing, uniqueness and aesthetic design. our assortment of products does not only match to the optimum quality but also renowned for durability and less maintenance. We have with us a highly proficient team of professionals and a proper working environment enabling us to fulfill the artistic requirements of numerous clients based all over the globe.